The blazer is so fab on you! Noelle, you look amazing. Love everything about this look. And that blazer fits you perfectly. 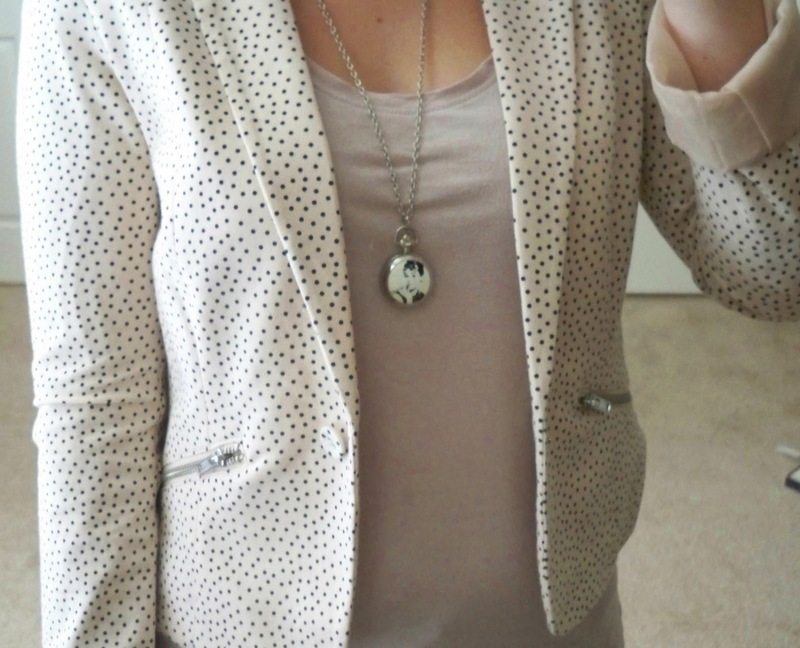 OMGGG polka dot blazer! HEART THIS SO MUCH! i love your audrey hepburn pendant too so adorable! 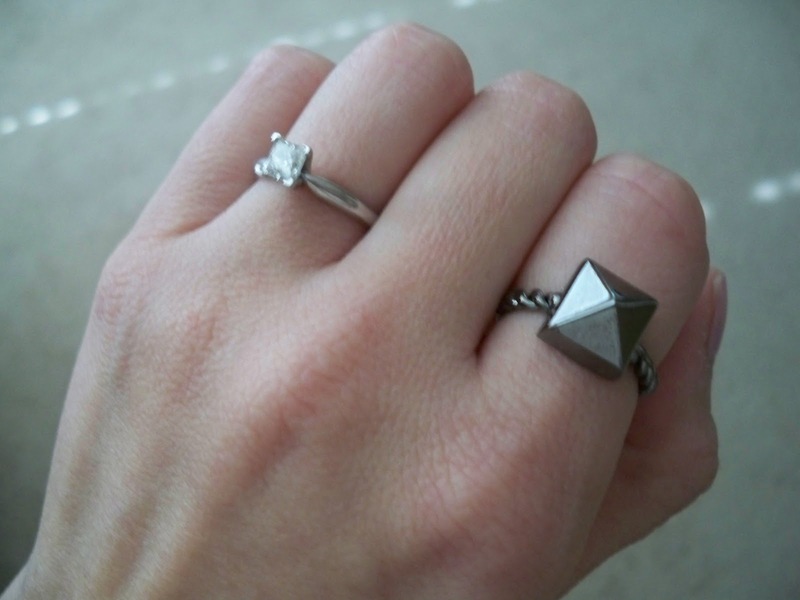 totally random but your engagement ring is GORGEOUS!! beautiful! you always look so cute! Oh I really like your blazer. Very becoming on you. That blazer is the cutest thing I've seen in awhile...LOVE it!! You girls are so sweet, as usual! The blazer is very recent, so go check it out at H&M if you are interested. They have many colorful options right now, although I think this one only comes in blush. Loving the blazer, definitely will look for that one. The colour you chose is fab. I'm also a fan of feminine shades. I have a hard time with blazers usually though, my chest is big but my shoulders are small which makes blazer fitting hard. Hopefully this one will fit me. That jacket is ADORABLE! And I love your rings. I love this blazer! So happy to hear it fits well for petites. I think I will have to wander over to H&M this weekend and see if I can find it. Love this whole outfit and the edgy little details! I'll definitely be coming back to your blog for inspiration--it's lovely! This polka dot blazer is so adorable! Very good to know that there were lots of blazer options for petites in H&M. I'll have to head there soon! I love the blazer! Im loving the polka dot trend. LOVE the dotted blazer! From afar the details are subtle, but makes all the difference from a plain solid blazer to something with a little more personality. Great pulled-together look, I adore the blazer with the dots and zippered pockets. Love the little stud ring. And of course, the Chanel flap.